This mountain is steeped in mythology. The name is derived from the following legend: Fionn Mac Cumhaill sat waiting at the top while women raced up it to win his hand. Since Fionn and Gráinne were in love, he had shown her a short-cut and she duly won the race. Yeats preferred the name Knockfefin. The mountain rises from the plain of Femen, which represents ‘woman’ or ‘femininity’. The song Slievenamon is the Tipperary anthem. 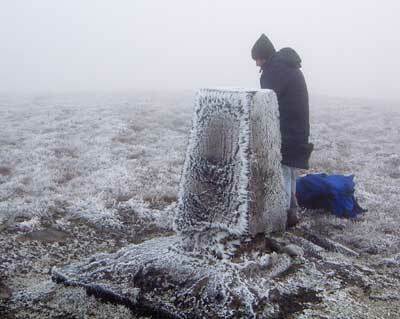 Slievenamon is the highest mountain in the South Midlands area and the 98th highest in Ireland. One place to start is just north of Kilcash at S317288 A. (To get to this, go north of Kilcash for about 500m, take a left turn and follow the road for about 400m). Here a rough signposted track leads off to the west, up the mountain. Most of the route up the mountain is on a substantial track, some of it to the west of a forestry plantation.